Use care, treatment, and therapy to maintain and improve residents’ health, to the degree possible and subject to the residents’ wishes. Those are pretty general guidelines that only detail expectations, not quality of care. 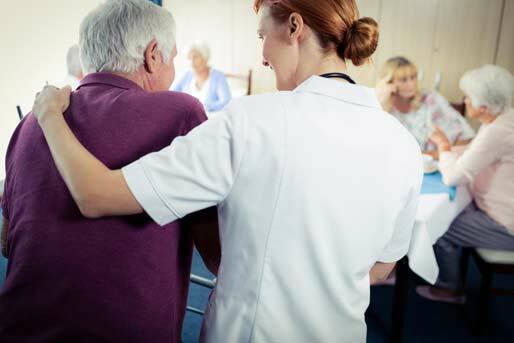 So here’s what you need to know about the standards of care that you are entitled to expect from a nursing home or other long-term eldercare facility. Facilities must adequately supervise residents to prevent accidents. Facilities must use assistive devices (e.g., handrails) that help improve residents’ safety. Residents have the right to receive care and treatment with reasonable accommodation of individual needs and preferences. The facility should make a reasonable attempt to adapt event schedules, staff assignments, room arrangements, and other schedules to accommodate residents’ preferences, desires, and needs. The facility is required to arrange for language interpreters or other measures to ensure clear and accurate communication between residents and staff. The facility must establish and communicate a comprehensive, individualized treatment and care plan for every resident. This plan must spell out residents’ needs and how they will be met. If a resident is able to swallow food and thereby obtain proper nutrition, no feeding tube should be used. Feeding tubes may only be used with the consent of the resident AND with adequate medical justification. Residents fed by tube must receive appropriate treatment and services to prevent aspiration pneumonia, diarrhea, vomiting, dehydration, and other complications. If a resident requires a feeding tube, staff must take all possible measures to help the resident take food by mouth again as soon as possible. Dementia is not an adequate reason for the use of a feeding tube. The facility must provide each resident with a nourishing, palatable, well-balanced diet that meets daily nutritional and special dietary needs. Facilities must serve at least three meals a day, at regular times, with no more than a 14-hour span between the evening meal and breakfast the next morning. Facilities must offer snacks at bedtime. Facilities must make reasonable accommodations for residents’ food and mealtime preferences. Facilities must offer food substitutes of similar nutritional value if a resident refuses food. Facilities must serve food attractively, and at the proper temperature, and in a manner that meets individual needs. Facilities must prepare food that meets national dietary standards. Facilities must plan menus with regard for residents’ cultural backgrounds and food habits. Facilities must post the current week’s and subsequent week’s menus for regular and special diets. Facilities must prepare food using methods that conserve nutritional value, flavor, and appearance. Facilities must provide therapeutic diets to residents with special nutritional needs, subject to physician orders. Facilities must ensure that residents’ ability to eat does not diminish, unless medically unavoidable. Facilities must provide special eating utensils to those who need them. Facilities must store, prepare, distribute, and serve food under sanitary conditions. If a resident’s ability to eat is compromised, the facility must design an individualized care plan to assist the resident with eating and nutrition. Facilities must immediately notify a resident’s physician of any signs of malnutrition. Facilities are urged (but not technically required by federal law) to reassess residents’ nutritional status in the event of undesired or unplanned weight loss. Any resident who has bladder or bowel control problems must have their condition assessed and treated promptly so that the condition may be alleviated. Catheters may not be used without valid medical justification. If a catheter is used, the facility must provide appropriate treatment to prevent urinary tract infections and restore normal bladder function. Nursing home staff must help residents use the toilet as often as the residents require. Facilities must properly order, record, store, administer, and monitor residents’ medications. Residents have the right to consent to or refuse any treatment, including medical treatment. Physicians must seek consent before ordering or changing medications. Residents have the right to choose their own pharmacy. Facilities must have 24-hour arrangements with at least one pharmacy. Medications must be provided in a timely manner. Doses must be administered within one hour of the time specified by the prescriber. Facilities may not administer drugs in excessive amounts, over an excessive period of time, without adequate monitoring, without adequate justification, or in the presence of adverse consequences under which doses should be adjusted or discontinued. Facilities may only use sedatives, tranquilizers, and similar drugs in the event of a clear medical need for them. Facilities may not use such medications to cover up symptoms caused by environmental conditions (e.g., temperature, crowding), psychosocial problems (e.g., abuse, taunting), or treatable medical conditions (e.g., diabetes). Residents may not be given antipsychotic drugs unless they are medically necessary. If a resident must take antipsychotic drugs, facilities must try to discontinue their use via behavioral interventions and/or gradual dosage reductions, unless clinically contraindicated. Residents may not be chemically restrained except in the event of an emergency. Facilities must record the dosages of drugs and the dates and times of their administration for every resident. Facilities must keep their medication error rate under 5 percent. Facilities may not give medications to anyone other than the resident for whom it has been prescribed. Facilities must contract with a licensed pharmacist to assess its program of drug administration. The pharmacist is required to report any irregularities with the program to the director of nursing, who must act on such reports. Facilities must help residents maintain clean, dry skin. Facilities must change linens, clothing, and other items so that residents’ skin is free at all times from contact with urine and feces. Facilities must provide necessary hygienic services, including bathing, shampooing, hair grooming, oral hygiene, shaving and/or beard trimming, and cleaning and cutting fingernails. Facilities must keep residents free of offensive odors. Facilities must answer call signals promptly. Facilities must ensure privacy during treatments and personal care. Physicians must see and evaluate residents at least once every 30 days, and more frequently if necessary. Physicians must have face-to-face contact with residents in their care, and review their medical history and treatment plan. Physicians must participate in residents’ assessment and care planning. Physicians must monitor changes in residents’ medical status. Physicians must review residents’ total care program at each visit. Physicians must prescribe new treatments and therapies as needed. Physicians must order residents’ transfers to a hospital when needed. Physicians must supervise nurse practitioners and/or physician assistants who attend to their patients. Physicians must provide consultation or treatment when called by the facility. Physicians must record residents’ progress or problems in residents’ health status. Residents’ care must be supervised by physicians chosen by the residents and/or their representatives. Facilities may not interfere in any way with residents’ choosing their physicians. If residents need assistance in choosing a physician, the facility must assist them in so doing. Facilities must provide medical services, medication management, therapy, nursing care, nutritional interventions, social work, and activity services. Facilities must carry out physicians’ orders and make all necessary diagnostic and therapeutic arrangements. Facilities must arrange for transportation if a resident requires off-site medical treatment. Facilities must have arrangements with substitute physicians for occasions when residents’ physicians are unavailable. Facilities must ensure that pressure sores (aka bedsores) do not develop, taking all preventative measures possible, including keeping residents’ skin clean and dry, maintaining residents’ good nutrition, helping residents change position as often as necessary, and ensuring that pressure is kept off of vulnerable parts of residents’ bodies. Facilities must provide any necessary pads and mattresses for the relief of pressure sores. Facilities must ensure that residents who do develop pressure sores receive appropriate, timely treatment for them. Facilities must notify residents’ physicians immediately if residents develop pressure sores. These services must be provided, whether or not they are covered by Medicare or Medi-Cal. Facilities must assist residents in attaining any other necessary special services. The facility must have, at all times, sufficient nurses and other staff members to meet the needs of every resident. California requires every facility to provide a minimum of 3.2 hours of nursing care per resident per day. If this minimum is unachievable, the facility must hire more staff. The facility must post, in a clearly visible place, the number of licensed and unlicensed staff members who are responsible for resident care. Facilities must provide therapy services for strokes, broken bones, and other conditions, regardless of how a resident’s care is paid for. Facilities must make all necessary arrangements for such services as (but not limited to) physical therapy, occupational therapy, speech-language pathology, and mental health rehabilitative services. Facilities must work with physicians to develop therapy plans for residents, and must follow the physician’s plan of care expressly. Facilities may not halt therapy care if/when a resident’s Medicare or Medi-Cal service expires. When therapy services end, facilities must set up a care plan that continues necessary exercises and other services. Facilities must ensure than residents do not lose range of motion in their extremities, and must work with therapists to design an exercise program that ensures a full range of motion, especially post-therapy. Residents’ care plans must address their vision, dental, and hearing needs. Facilities must assist residents in obtaining routine dental care (annual exams) and emergency dental care. Facilities may have an arrangement with a dentist to care for residents. If a resident’s dentures are lost or damaged, the facility must assist the resident in referring them to a dentist and/or obtaining replacement dentures. Facilities must assist residents in obtaining vision and hearing services and care, including making appointments and arranging for transportation for off-site care. Facilities must assist residents in their use of necessary assistive devices, such as corrective lenses and hearing aids. Residents may have to pay for dental, hearing, and/or vision services themselves. Such services are not always covered by Medi-Cal. Moving into a nursing home doesn’t mean sacrificing any fundamental rights. In fact, nursing home residents’ rights are further protected by the federal Nursing Home Reform Law of 1987, which is designed to protect the dignity of every individual. If you’re considering moving a loved one to a nursing home, here are some things that you need to know. 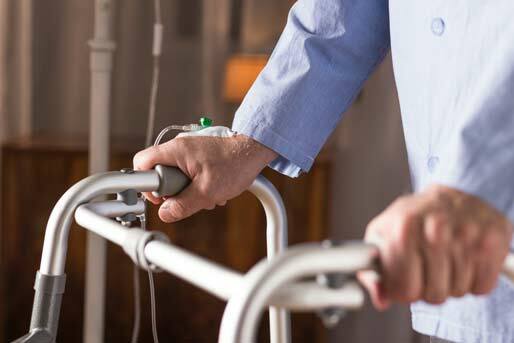 If your loved one is in a nursing home, and you believe that any of the rights listed below are being violated, contact the attorneys at Adams Fietz immediately. The health and safety of your loved one could be at risk. The health of a nursing home resident should NEVER decline as a result of the care provided by the facility. To be treated with consideration, respect, and dignity. To be free from physical and mental abuse, corporal punishment, involuntary seclusion or isolation, and physical or chemical restraints. To the security of his or her possessions. All services provided by the facility, and the costs thereof. All rules and regulations of the facility, including a written copy of residents’ rights. Contact information for any state and/or federal agencies that govern nursing homes. All state nursing home survey reports, and the facility’s plans to respond to them. Any plans to change rooms or roommates. All available assistance options for sensory impairments (e.g., blindness, deafness). Communicate privately and without restriction with anyone they wish. Receive care and treatment in private. Discuss their medical, personal, and/or financial affairs in private. Relatives, friends, and anyone of their choosing. Representatives of state nursing home survey agencies and ombudsman programs. Individuals or representatives of organizations that provide health, social, legal, financial, or other services. Residents also have the right to refuse visitors. Present grievances to any staff member or resident, without fear of reprisal; residents are entitled to prompt responses from the staff about the resolution of those grievances. Complain to the facility’s ombudsman. File complaints with the state nursing home agency. Receive adequate and appropriate care. Be informed about all changes in their medical condition(s). Participate in planning and assisting in their own care; participate in their own treatment and discharge. Refuse any medication or treatment. Refuse any chemical or physical restraints. Review their own medical records. Receive services covered by Medicare or Medicaid at no charge. Is necessary to preserve the resident’s welfare. Is appropriate because the resident’s health has improved to the point at which he or she no longer requires nursing home care. Is necessary for the protection of the health and safety of other residents or staff. Is deemed necessary because the resident has failed to pay, within a reasonable time, for a service or item that the resident has requested. information about how to appeal the transfer or discharge, including the name, address, and telephone number of the state long-term care ombudsman.